Tyler Wells Lynch has written for Vice, The Awl, The Rumpus, Huffington Post, USA Today, and McSweeney’s, among others. Tyler is currently a staff writer at Wirecutter. 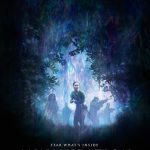 Annihilation portrays the chaos of “post-truth” in narrative form.